IronSword with Fabio on the cover is pretty bad. lol, yeah I think Fabio wins. With that said the original W&W has great box art. The original Mega Man box art is also pretty bad too. It's cheesy looking now, because we all know who Fabio is. Back then, most of us kids had no clue and he looked like a muscled-up barbarian like Conan or He-Man. Back then it was cool. This one wins it for me. 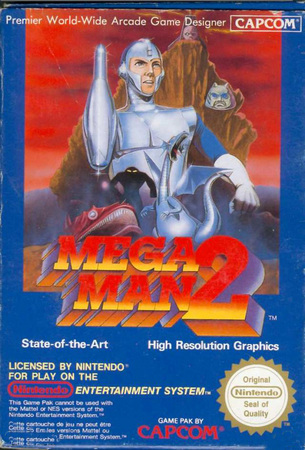 I think the Megaman 2 cover, not with the blue bomber, but with a silver robot with some kind of cannon on his right arm has nothing to do with the game. Meganan was never human. Version: 1.0.34 ; Page loaded in: 0.356 seconds.